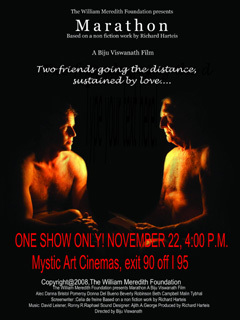 Screening: October 29th, 2009 at 6:10 p.m. The exclusive screening of this award winning film, starring Morgan Freeman, Willie Nelson and James Montgomery followed by a live performance with legendary blues musicians James Montgomery and Bruce Marshall. On August 20th, 2009 The Hygenic Gallery in New London opened an extraordinary exhibition tracing this history of years of friendship between the artistic communities in Bulgaria and the city of New London. This bridge was first established when William invited Bulgarian poets to visit the Library of Congress when he served as Consultant in Poetry. This history of the artists that followed reads "like a ship's log – a logbook of voyagers,"in the words of one of those poets, Lyubomir Levchev. The exhibition, Bulgaria // Then + Now brought togetherA selection of paintings, drawings, film, photography, sculpture + poetry reflecting the artists' experience during their residency exchange + their most recent endeavors as well as a look into some of the history and friendship created. The exhibition featured poems by William Meredith and a special poetry reading featuring readings by Richard Harteis + Valentin Krustev + Daniel Gula. Among the photos and poems exhibited on the walls was the following appreciation of William's role in helping to establish this extraordinary bridge between our cultures. There is an oft quoted proverb that Success has many fathers, while failure is an orphan. Fortunately for New London and Bulgaria, the extraordinary relationship that was born between the artistic communities of our two countries in the 90's has now fully matured and continues to grow through succeeding progeny. It has been nurtured by many "fathers" and mothers over the years and stands as a remarkable achievement, a model really of how artists can grow and prosper and help us in our common human endeavor when good will, hard work, philanthropy and talent come together. Taking credit for his part in such achievement is not something William Meredith would have been interested in. Humility was a cardinal virtue in his character. But since his death, and as his partner of nearly 40 years, I feel the need to speak of his legacy in this regard, a bit uxorial maybe, but, well, there it is. The bridge between our countries first took form when William served as the Poet Laureate of the US and invited Lyubomir Levchev and other Bulgarian poets to the Library of Congress in 1980. In the following years William visited Bulgaria many times and helped establish scholarships, art exhibits, readings and publications. For this work in the culture he was granted Bulgarian citizenship by presidential decree in 1996. And he continued to support the wonderful artist exchanges and projects that began to take form through the generosity of Sharon and Hugh Griffis. "William has reigned over many a chasm. New England - The secret garden of poets." This world was not a desert when I came into it. Probably, my testimony, my best tongue. 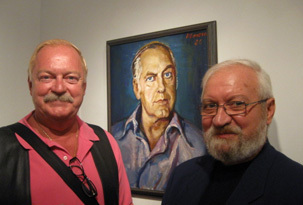 William Meredith and Richard Harteis have sponsored numerous exhibitions for artists from the US and Bulgaria since the year 2000. After his death, such exhibitions have continued under the auspices of the Foundation including several shows at the New Have Free Public Library and the Norwich Arts Council. 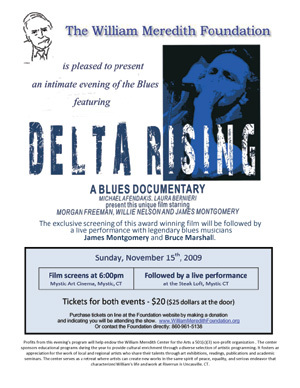 The foundation also hosted a black tie dinner and private screening of the film MARATHON for 300 guests in November of 2008. The following is a list of venues and examples of the art which has been exhibited.